Using hover captions is a great way to provide more information about some feature or element on your site. I'm sure you have seen hover captions in your operating system when you hover over an icon, for example. What we are doing in Flash is very similar. When a user hovers over a button, in our case, a text caption appears detailing what exactly you hovered over. Notice that when you move your mouse over an icon, a small caption is displayed with some informative text. If you hover your mouse over the icons on the far right, you will see that the captions appear to your left to ensure that your text is not cut-off by the boundaries of our movie. Now that you have seen what we are planning on doing, let's re-create the above effect in Flash. I have provided a sample FLA with just the buttons provided. That way, you can focus more on creating the caption as opposed to fiddling with creating perfect buttons. Once you have opened the above FLA in Flash, let's get started. Once your rectangle has been drawn, we will convert it to a Movie Clip symbol. Select your rectangle and press F8 or go to Modify | Convert to Symbol. The Convert to Symbol dialog box should appear. Select the option for Movie Clip and press OK.
A new layer called Layer 2 should be created above Layer 1. We will add our text field to Layer 2, so you may want to lock Layer 1 to avoid accidentally selecting it while working in Layer 2. Make sure Layer 2 is selected, and click on the Text Tool icon from your Toolbox. Click on the Scene 1 tab located above your timeline. You should now be back in your main timeline. Select your rectangle movie clip, and give it the instance name cap. If you look in your timeline, you should see a layer labeled actions. Select the first (and only) frame from that layer and press F9 or go to Window | Development Panels | Actions. Test your animation. You should now see your captions appear when you roll over the buttons. 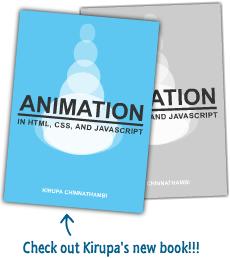 In the next page, I will explain the code and why your animation works the way it does.